Association of Trades and Crafts Zadar is a professional – business organisation which, in keeping with the Law of Craft and Trade and Statute, promotes, organises, represents and presents the joint interests of Craftsmen and Tradesmen in the areas in the towns of: Zadar, Nin, Obrovac and in the local councils of: Bibinje, Galovac, Gračac, Jasenice, Kali, Kukljica, Novigrad, Poličnik, Posedarje, Preko, Privlaka, Ražanac, Sali, Starigrad, Sukošan, Škabrnja, Vir, Zemunik Donji. The legal framework for the work of the Association is regulated in articles 62-80 of the Law of Craft and Trade. In accordance with article 67 of the Law, membership in the Associations of Trades and Crafts is compulsory for traders, individual merchants and companies who carry out trading activities, and have business in the territory covered by the Association. Fishing, Aquaculture and Agriculture Section. The Statute of the Association regulates the tasks and business of the Association, and especially: content of work; organisation and territorial catchment area of the Association; realising the interests of members of the Association; the rights, obligations and responsibilities of members; a process of bringing about and changing the Statue and other basic acts; the body of the Association, their aspect of work, content, number of members, the way of election and length of mandate; the way the different bodies of the Association bring about decisions, organisation and work of the Association, and especially organisation and tasks of Professional Service of the Association; representing and presenting the Association, content and form of creating cooperation with the bodies of unit of the local authorities and other organisations, public works and notices, and ensuring resources for the work of the Association. 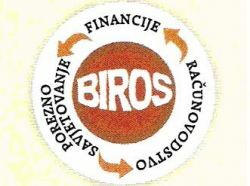 This web site has been produced with the assistance of the EU. The contents of this web site is the sole responsibility of Association of Trades and Crafts Zadar and can in no way be taken to reflect the views of the European Union. Association of Trades and Crafts Zadar. All rights reserved. © 2007.